All orders made through our online store are subject to confirmation and acceptance by Healthy Smile Dental. All prices are stated are in Australian dollars & are inclusive of GST. Our Healthy Smile Dental Oral Care Store sales team can be contacted by phone on (07) 3219 9806 for our Underwood branch, and on (07) 3273 3220 for our Calamvale branch. Healthy Smile Oral Care Store does not provide delivery for online orders. Items ordered are available for pick up & payment after your order has been processed, and your email confirmation has been sent. If a product is temporarily unavailable due to stock or supplier issues, then quantity selection will be disabled when ordering the product. 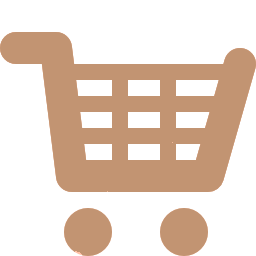 If you have placed an order that has already been processed in error, we will contact you as soon as possible to notify you of any potential delay in the availability of your ordered product, as well as the time frame for re-ordering and receiving the new stock. Healthy Smile Oral Care Store accepts payment upon collection of your ordered products via cash, EFTPOS, and VISA & MasterCard credit/debit cards from our clinic. We do not accept Amex or Diners cards. At present, we are not able to accept online payments. Individual orders placed with Healthy Smile Oral Care Store are governed by the pricing, terms and conditions at the time when an order is placed. However, the prices and availability of our oral care products may be subject to change at any time without notice in the event of unexpected errors or changes made by our suppliers. If Healthy Smile Dental requests payment upon collection at increased prices, you have the option of cancelling your order. Healthy Smile Oral Care Store offers refunds, replacements and/or exchanges for purchased goods that are deemed flawed, faulty or defective upon opening the product packaging, as well as goods that have been chosen erroneously. In this event, please contact us as soon as possible for a return and replacement. We accept returns for items within 7 days of pick up and purchase date. If a purchase has been made erroneously, then the purchased good(s) must be returned in a new, unused condition in its original packaging to us for a refund or exchange. We do not offer refunds for purchased goods if you have simply changed your mind. At this stage, we can only accept payment upon pick up from our clinic, and don’t process credit card payments online. Your order details are kept safe and secure, and we keep your email address confidential. We will not reveal your personal information to 3rd parties under any circumstances. For goods that are sold with an extended warranty (e.g. 2 year warranty/12 month) against defects highlighted on the packaging, please read the warranty document outlining the terms and conditions of the warranty attached to or enclosed within the product packaging. We do not handle extended warranty/warranty issues. Refer to the warranty terms and conditions as stated on the warranty document to register your purchase date, and to get your defective goods repaired or replaced.